Punjab Information Minister Fayyazul Hasan Chohan Saturday said the federal and Punjab government have settled all issues with the Pakistan Muslim League-Quaid leaders on all matters of mutual interest. The reports of friction between the coalition partners surfaced after the resignation of PML-Q’s only minister in Punjab, Hafiz Ammar Yasir, against alleged interference in his ministry by the CM Secretariat. “I am resigning because of the constant interference in the affairs of my ministry by Secretary to Chief Minister Dr Raheel Siddiqui, who is another Tauqeer Shah in the making,” said Hafiz. Federal Information Minister Fawad Chaudhry also said that the government will address all reservations of the PML-Q leadership, and that no coalition partner will leave the government. Speaking to journalists, he said all political parties reserve the right to do their politics according to their interests. “PTI and the PML-Q are not one party … we will address the latter’s reservations soon. We regularly meet Chaudhry brothers … no coalition partner is leaving the government,” he said. However, a private TV channel claimed that the two parties ‘failed’ to resolve the rift. While there are apprehensions over ministries, the situation worsened following Information Minister Fawad Chaudhry’s remarks about ‘forward block’ in the PML-Q. 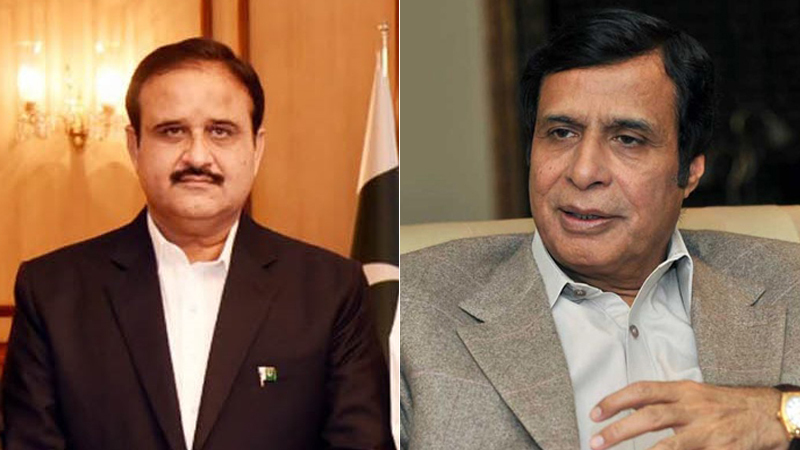 Punjab Chief Minister Usman Buzdar met Punjab Assembly Speaker Pervaiz Elahi in Lahore on Friday. Elahi complained that matters were not being resolved after a consensus was achieved amongst them. “There has been no implementation on certain issues which were to be fixed as part of our alliance,” Elahi reportedly told Buzdar. Elahi revealed that his party was to be given two federal and two Punjab ministries as part of the commitment. Responding to the speaker, Buzdar said he was not aware of the matter and that he would discuss it with Prime Minister Imran Khan, the TV channel claimed.